Herbalife Nutrition released findings from its Asia Pacific Healthy Breakfast Survey, conducted in February this year with more than 5,500 respondents in 11 markets – including 500 from the Philippines. 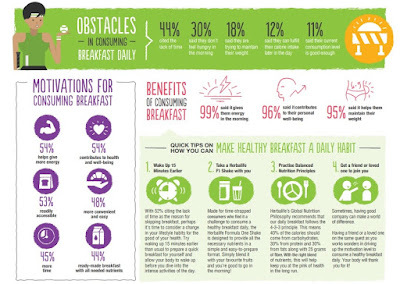 Aimed at uncovering insights into the attitudes and habits of eating breakfast among consumers in the region, the survey revealed that the majority of respondents understand the importance of a healthy breakfast in promoting their well-being and in managing their weight, however, many of them have encountered obstacles to eating it daily, and would be encouraged to eat it more regularly if it was more convenient and accessible. 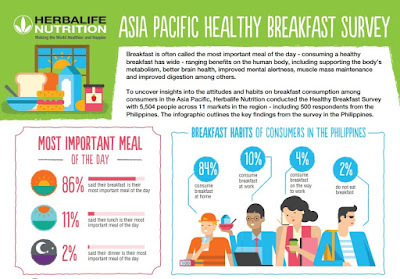 The survey also showed that although 41 percent of respondents consider protein as the predominant nutrient needed in their breakfast, carbohydrates in fact made up most of the actual breakfast nutrients in the consumption pattern of the respondents. 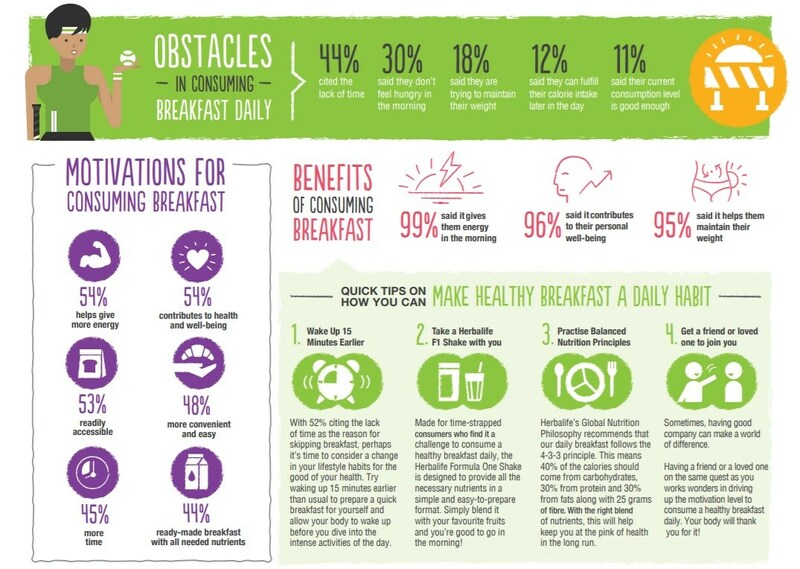 Carbohydrates such as bread or toast and hot beverages top the list of breakfast foods regularly consumed.